Our specialized cardiac Nurse Practitioners work with our surgeons as part of the clinical team which will manage your care. All of our cardiac Nurse Practitioners have earned at least a master’s degree in medicine and have coordinated surgical care for thousands of patients. They will act as a day-to-day contact before and after your surgical procedure. 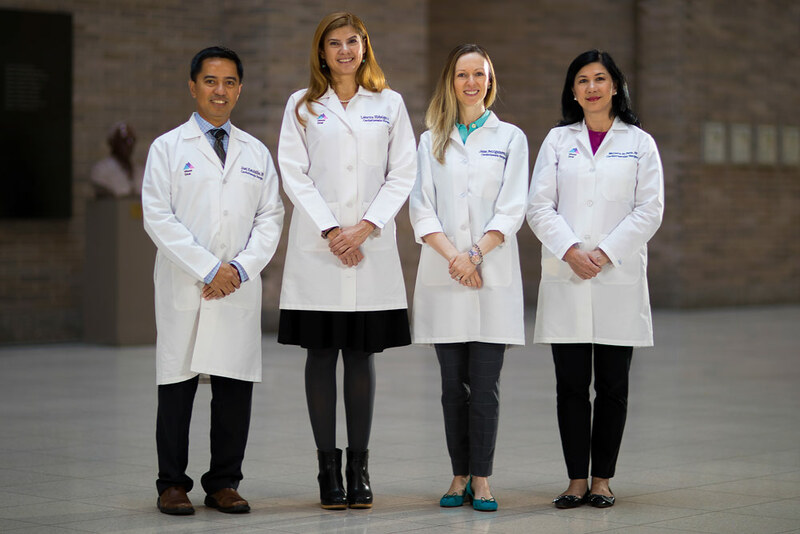 A Nurse Practitioner will begin your surgical consultation day with a complete and thorough physical examination, order any necessary medical tests, prescribe medication, and respond to questions and concerns throughout your time at Mount Sinai. Laurita Hidalgo, NP, examines a patient during her post surgical visit. Before you visit us for a consultation, one of our Nurse Practitioners has already reviewed your medical records and spoken to your cardiologist, as well as any other relevant specialists. They will coordinate with our surgeons to address any technical or complex aspects of your personal medical history and can answer all of your questions about heart surgery. Be prepared to talk with our Nurse Practitioner about your physical symptoms and how they have affected your work and home life. They will also ask about your lifestyle and exercise routines. You can feel comfortable being open and honest with our Nurse Practitioners - details provided during your medical history will play a role in determining your recommendation for surgery when paired with the previous reports and images provided by your cardiologist. If possible, invite a partner or family member to be present for the first appointment. Your Nurse Practitioner can help put both you and your loved one at ease. You can expect to hear detailed explanations about what to expect at each step. If you live alone, your Nurse Practitioner will take extra care to help make sure you are not afraid to face the recovery period and connect you with one of our visiting nurse service agency partners. Before you meet with the surgical team, your Nurse Practitioner team will share the results of your physical exam and highlight key points in your medical history which will inform your surgeon’s recommendations for treatment. After your surgery, our Nurse Practitioners will monitor your progress, collaborate with your doctors, and support you as you recover from surgery. Once you are approved to leave the hospital, a Nurse Practitioner will review your home recovery instructions with you, coordinate with your surgeon to order your prescriptions, and talk about appointments you’ll need to schedule after leaving the hospital. One of our Nurse Practitioners will contact you within 48 hours of your discharge to make sure you are eating well, not lifting heavy objects, taking correct medication dosages, and getting all the help you need. Every patient needs to come back to the hospital for a follow-up visit within two weeks of surgery. A Nurse Practitioner will help you schedule the visit and will conduct your follow-up physical exam.